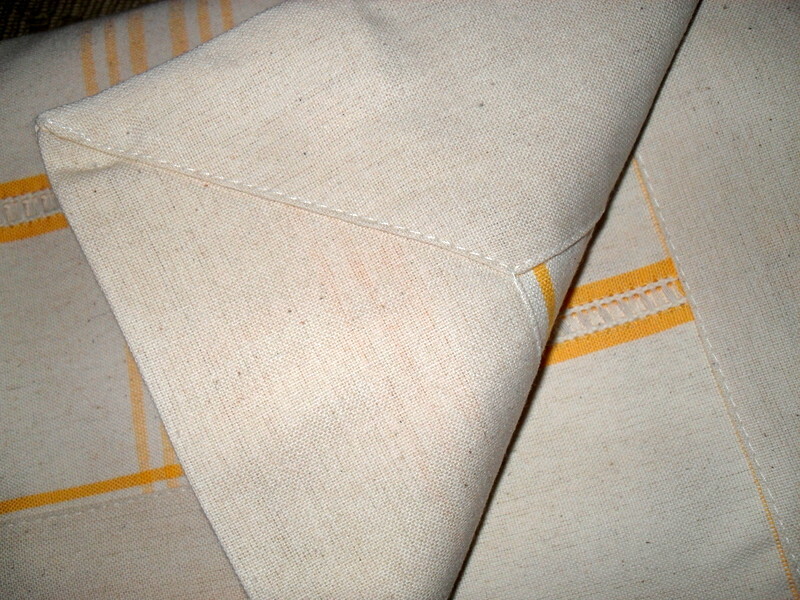 Beautiful square tablecloth on an off white background with a subtle coloured check pattern. The weave is flat with small vertical gaps left in the weave. The edges are in the same plain off white colour with a length of 7cm inward (see below picture). I wanted to wait awhile before writing my review as I wanted to see how well this washed up. And I have to see this is the best quality tablecloth I have purchased in a long time. Absolutely fabulous and I am happy to recommend to my family and friends. Thanks so much.